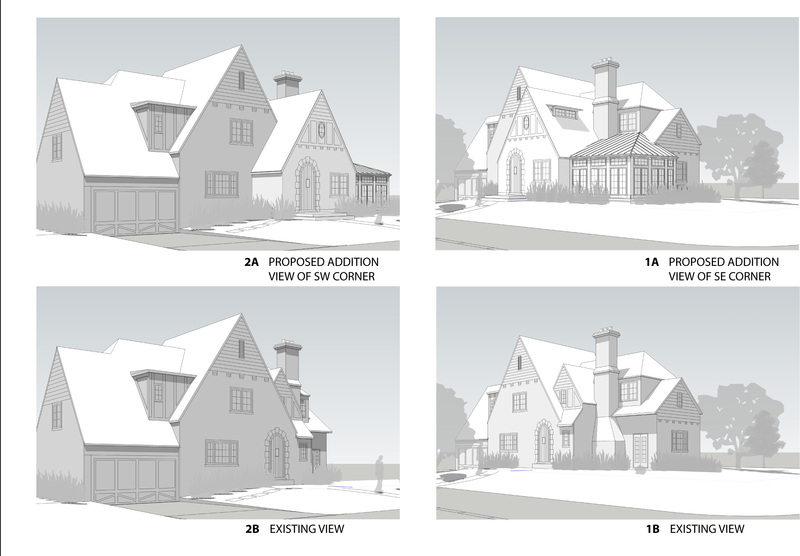 These are views of a passive solar Tudor we are designing, showing both existing and proposed views. Vertical cladding materials are brick, cement plaster, and wood windows and window-walls. Glass is 1″ thick clear insulated. Roofs are clad in natural slate and standing-seam copper. This entry was posted on January 7, 2010 at 8:39 pm and is filed under Design. You can follow any responses to this entry through the RSS 2.0 feed. You can leave a response, or trackback from your own site.